When Garlock went bankrupt, a federal bankruptcy judge had to decide how much money the company should put into a trust fund to pay asbestos victims who had become ill as a result of exposure to toxic asbestos fibers. Manufacturers of asbestos products pay into these trust funds to ensure that people suffering from mesothelioma, asbestosis and other serious illnesses are able to obtain compensation for losses and damages. Advocates for asbestos victims indicated that around $1.3 billion should be set aside for the trust to protect the victims. The judge, however, made a decision that some of the asbestos claims being made were not legitimate. As a result, the judge decided to order only $125 million be put aside by Garlock in the asbestos trust fund. As the Huffington Post reports, this decision was widely described as throwing manufacturers a lifeline. The decision was, in fact, intended to punish some people who had done the wrong thing but instead will end up having an adverse impact on many thousands of innocent people who were hurt. Making asbestos claims is important for victims as mesothelioma is a serious and aggressive cancer that can be difficult and costly to treat. However, plaintiffs need to follow appropriate protocols for taking legal action from a trust. An experienced mesothelioma attorney in New England can assist victims in working within the law to get the compensation they deserve. 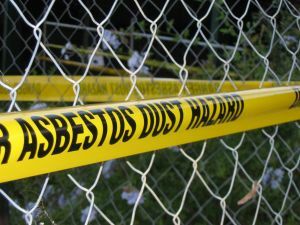 The judge made his decision in the bankruptcy case to limit the money set aside for asbestos victims because he believed that there had been a ‘startling pattern of abuse,” in asbestos cases. The evidence of abuse includes situations where plaintiffs had been exposed to asbestos only from one company but who filed claims against the trust of another company. While this behavior disadvantages people who do the right thing and make claims based on legitimate injuries caused by asbestos, the fact that a very small number of people may have done the wrong thing in asbestos cases does not mean that every asbestos victim should be punished as a result. As the Huffington Post reports, overcrowded civil courts have dismissed legitimate asbestos claims even with proper evidence because the courts cannot effectively process all claims. Some plaintiffs are also struggling to get the full amount of money that they need for treatment and to cover losses from trusts that already may not be paying as much as they should. In this climate, where about 100 companies have gone bankrupt and left victims of asbestos exposure to try to fight for the money left over, judges should not be doing things to make it harder for victims with cancer to get compensation from companies who sold dangerous asbestos products.